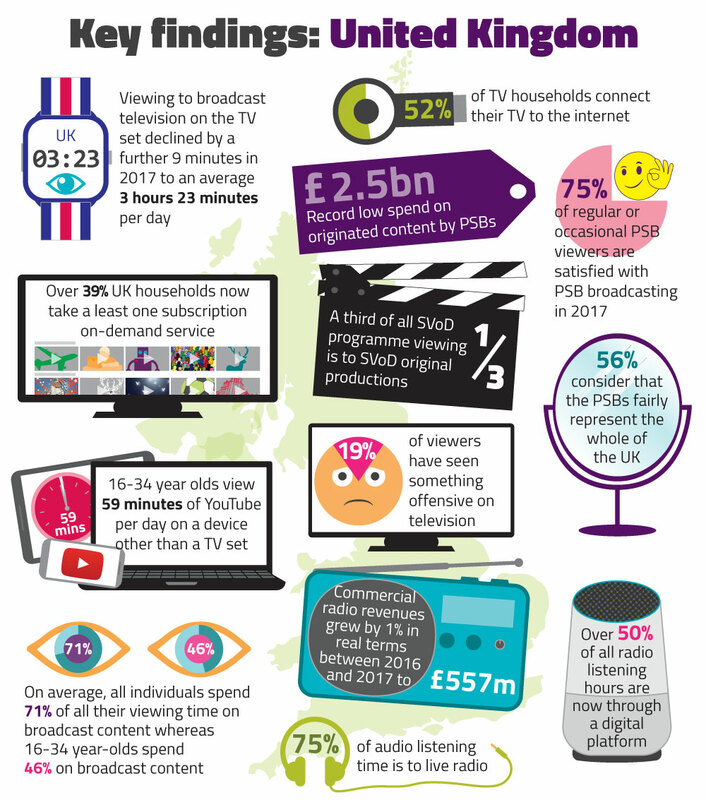 This is Ofcom’s first annual Media Nations report. The report reviews key trends in the television and audiovisual sector as well as the radio and audio sector. 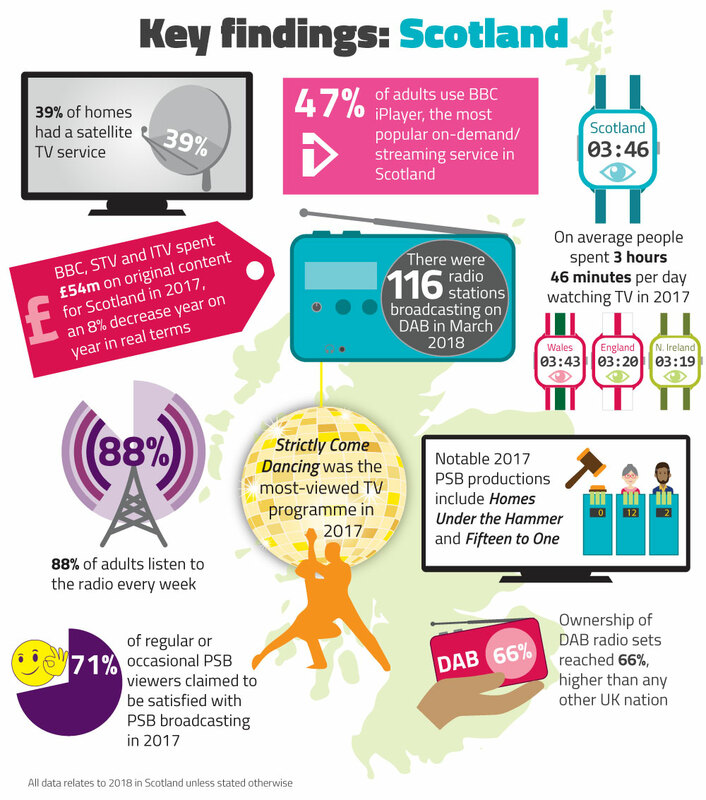 In these reports we provide data and analysis on traditional broadcast television and radio services, and look at the take-up and impact of subscription on-demand and streaming services. The Media Nations report is a reference publication for industry, stakeholders, academics and consumers. It provides context to the work Ofcom undertakes in looking after the interests of people in the markets we regulate. On page 21, the first sentence should read "Watching SVoD on and off the TV set is measured at 18 minutes a day per person, but higher, at 30 minutes, for those aged 16-34." This accompanying data report provides interactive access to an extensive range of data.